June 8, 2017 I Want This Tool! Father’s Day is fast approaching and it’s time to figure out what you’re giving Good ol’ Dad. If you have a DIY Dad then you’re in luck! 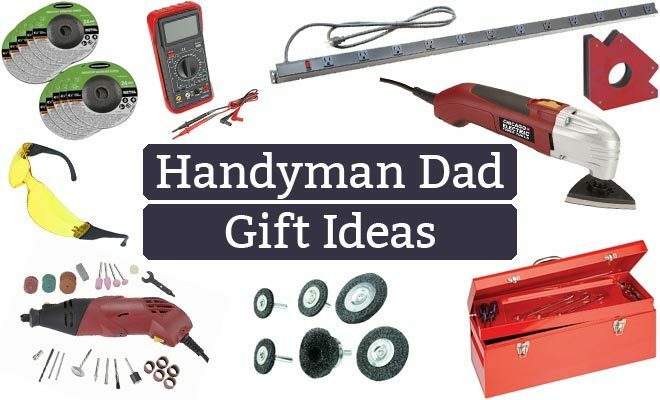 Before you scramble to find a last-minute gift, here’s a few collections of gift inspiration for each type of DIY Dad. His honey-do list is a mile long and he’s happy about it. He won’t spend a dollar when he can fix it in a weekend. You need what built?… call on Dad! The Handyman Dad is always there to fix it when it breaks. Here’s what to get for a DIY dad who never lets an opportunity to DIY pass him by. It’s like 10 tools in one. If Dad is always fixing and renovating the house, this will come in handy. If he’s got an angle grinder, he needs wheels. The coolest thing you can use to clean rust off of any surface. These chuck into a power drill and make life easy. Again, it’s a tool that does everything. If he doesn’t have one, he wants one. Get your dad a bigger tool box. Why not? Like clamps for welding… you can never have enough clamps. Any electrical or electronic project needs a multimeter. Dad will love an auto-ranging model. Does Dad have a work bench? Does he have to share one outlet with all his tools? A large power strip will step his game up for sure. Show him you care with a gift of new safety gear. Changing the oil, washing and waxing, and fixing the car when it breaks are just some of the ways a DIY dad shows his family he cares. It doesn’t hurt that he really enjoys it too. Everyone needs a hobby and a great way to show your appreciation is to support his hobby with supplies and tools. 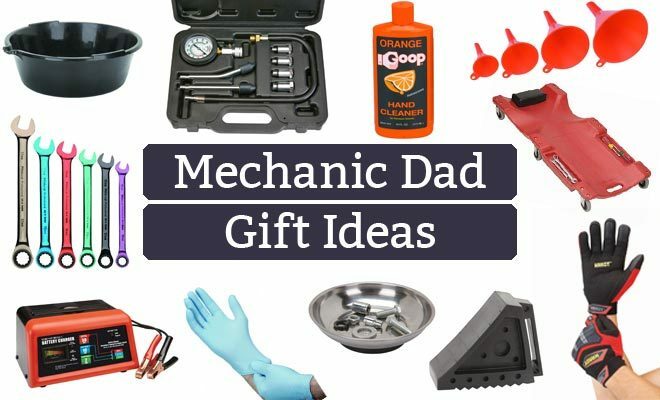 Here are some really great tools and supplies for your Mechanic Dad this Father’s Day. Oil and grease are everywhere on a car. Help keep Dad’s hands clean with some disposable gloves. Safety first with a set of wheel chocks to keep the car from moving. If your dad doesn’t have one of these, he wants one. Checking the compression is a great way to see the health of an engine. Wrenches are vital to working on cars. With nuts and bolts throughout, you just need them. But for those super annoying and tight spaces, a ratcheting wrench will make the job 100 times easier! Dad will love these! Okay, so sometimes even when you wear your gloves, you still get dirty. 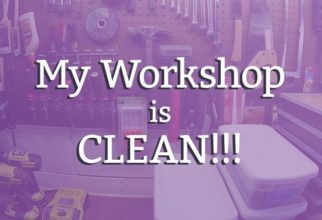 Keep Dad out of the kitchen and help him clean up while still in the shop. Your dad (and mom) will thank you. Can’t change the oil without one of these. Check if he’s already got one first. You can’t have enough funnels. That’s a saying, right? If he works on old cars or has a project he tinkers with, chances are he needs to charge a battery from time to time. Unless your dad has a lift, he’s got to crawl on the ground when working under the car. But now he can roll around in comfort thanks to you buying him a creeper. You’re so awesome! Losing parts is crazy frustrating. A magnetic parts tray will keep your dad sane. If Dad has cuts and bruises on his hands from working on the car, you should help him out and get him some tough gloves. Your DIY dad is a woodworker and he loves to get out in his workshop and make things with patience and finesse. To do his best work, he’ll need great tools, supplies, and organization. 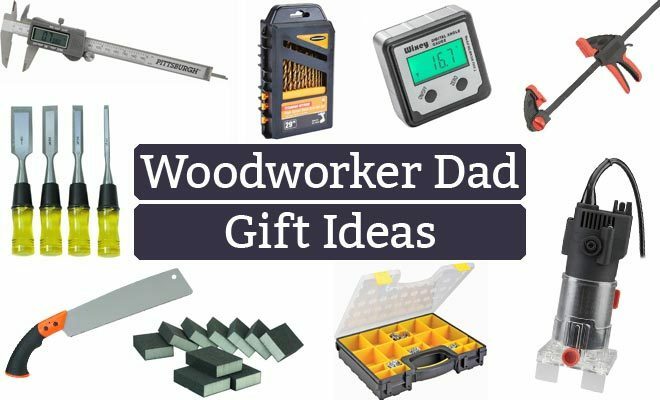 So what does the Woodworker Dad need for Father’s Day? 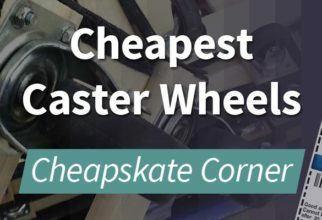 Here are some affordable Harbor Freight tools for the woodworker you call Dad. Rounding over an edge and other light-duty routing tasks are perfect for a trim router. Whether he needs them or not, extra drill bits are always welcome. Help Dad organize all his fasteners and random hardware. These cases are portable and fantastic. All woodworkers have to sand but most of them hate it. Your woodworking dad won’t hate having a set of sanding sponges to help them do the job in comfort. Cheap chisels are great for abusing without worry. You can never have enough clamps. Buy him a bunch. 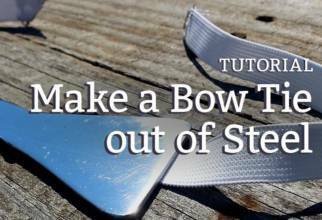 A pull saw is a really useful tool for woodworkers and the flexibility makes it even better. A table saw is only as good as its accuracy. So get Dad an angle gauge and help him dial in that perfect cut. When it comes to fine details and tight fitting joinery, a tape measure just won’t cut it. Digital calipers are amazingly precise and will get a lot of use. Happy Father’s Day to Your DIY Dad! I hope these lists were helpful. I made sure to pick out things that aren’t too expensive and just about every handyman, mechanic, or woodworker dad would love. As a DIY Dad who identifies as all three of these, I think I’m qualified to offer some advice! So how did I do? Leave me a comment and if you have any questions, be sure to ask! Categories: I Want This Tool! Clean. Organized. Ready for Projects!